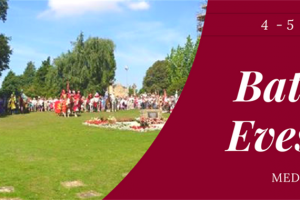 This project was funded on 30 Jul 2018! 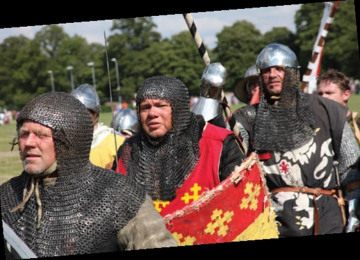 A two day event (4-5 Aug) that will cater for a variety of audiences both local and further afield; for families, historians, medieval interest groups, gamers and the local community. This cannot happen without your help! Please pledge what you can, just £5 will go a long way! 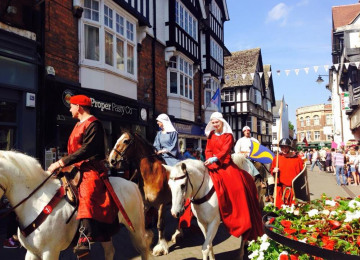 An action packed weekend, including: THE BATTLE re-enactment (Saturday and Sunday) Grand Parade through Evesham (Saturday only) Medieval Musicians & Dancing Craftsmen Demonstrations Medieval Cookery Weapon Demonstrations Living History Encampment Mini Trebuchet in action Falconry Display Equestrian Display Children’s Activities Stalls, bar and food outlets Encouraging visitors to experience all of Evesham involving the town to include walking tours, historic building tours, craft and children’s’ workshops and flags flown throughout the town. 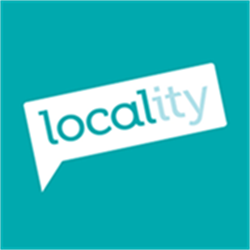 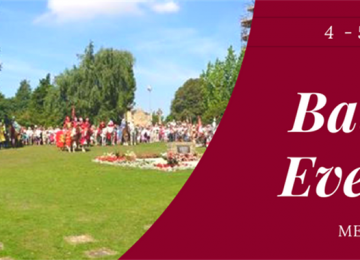 Encourage local learning and appreciation of Evesham heritage through a series of workshops and a legacy stone that would be erected in the town for generations to enjoy. 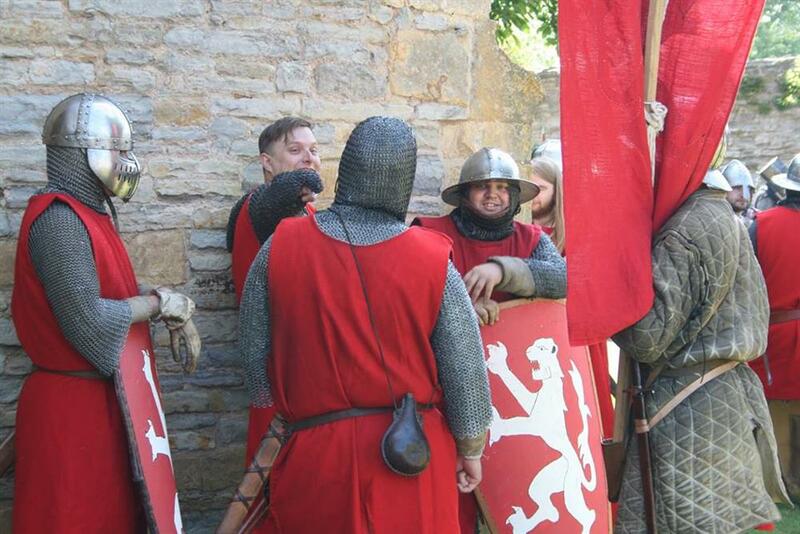 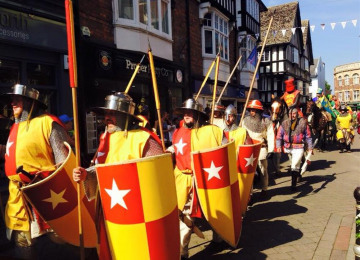 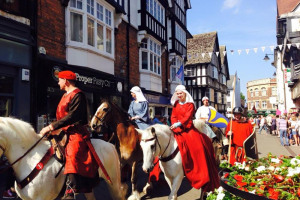 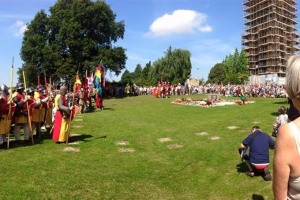 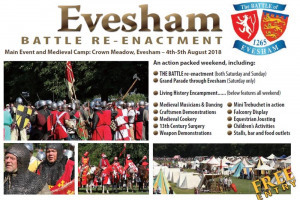 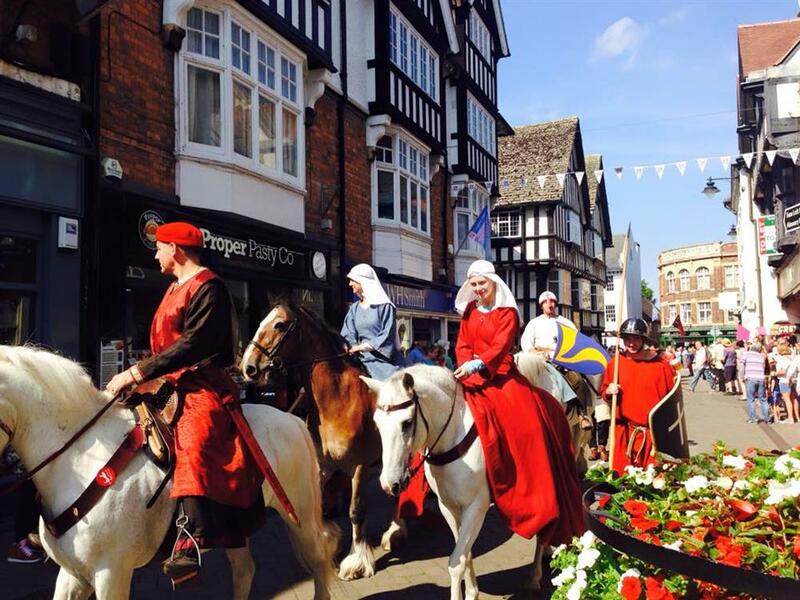 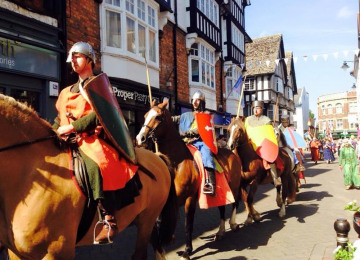 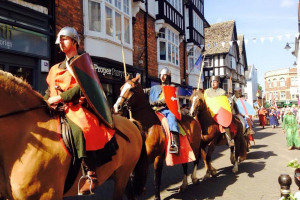 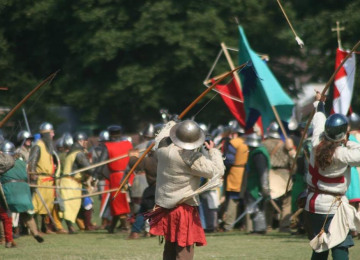 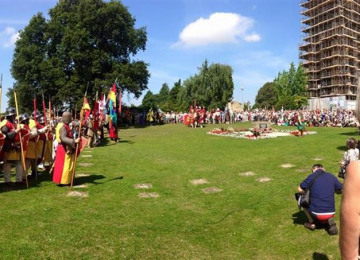 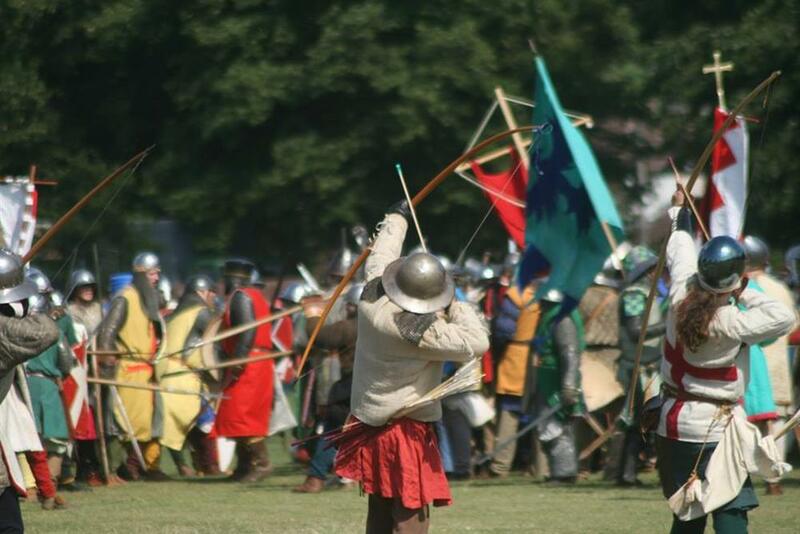 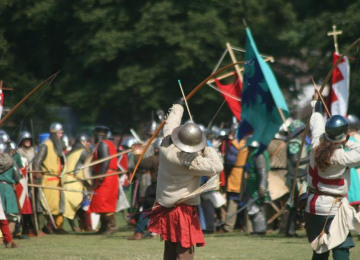 The Battle of Evesham medieval weekend has been described, amongst many positive things, as a “Spectacular Success” (Evesham Observer) and “the biggest and best event I’ve ever seen in Evesham, and I’ve been here over 60 years!” (local resident). 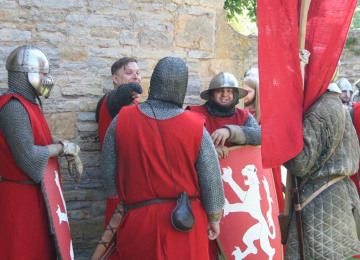 This two-day event will cater for a variety of audiences both local and further afield; for families, historians, medieval interest groups, gamers and the local community. 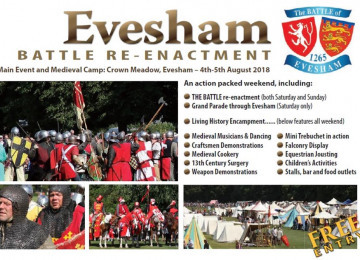 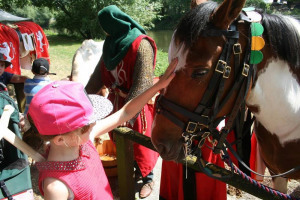 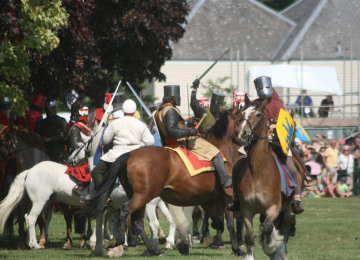 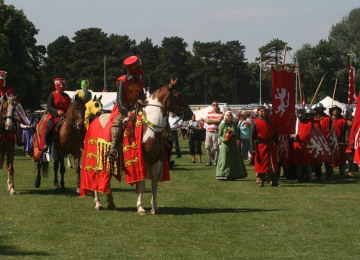 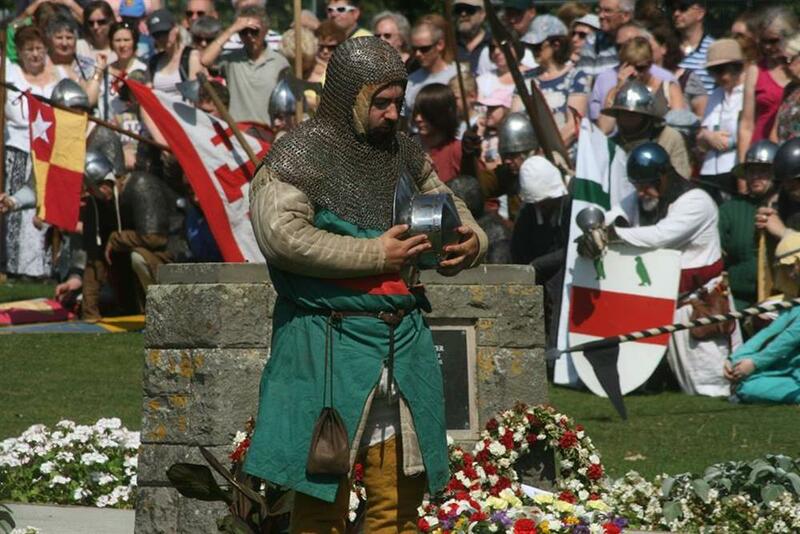 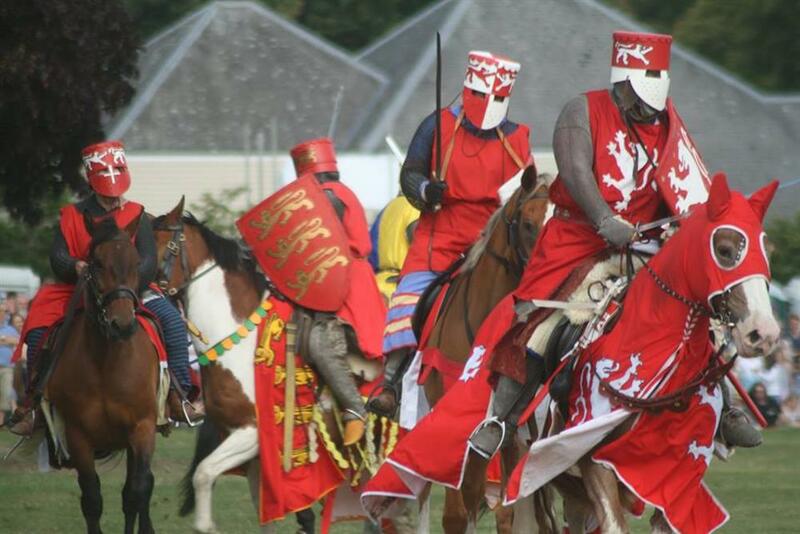 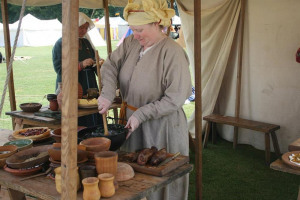 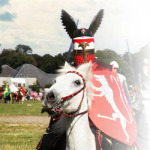 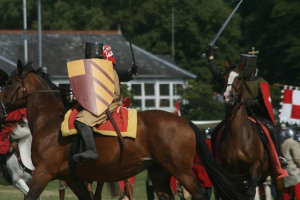 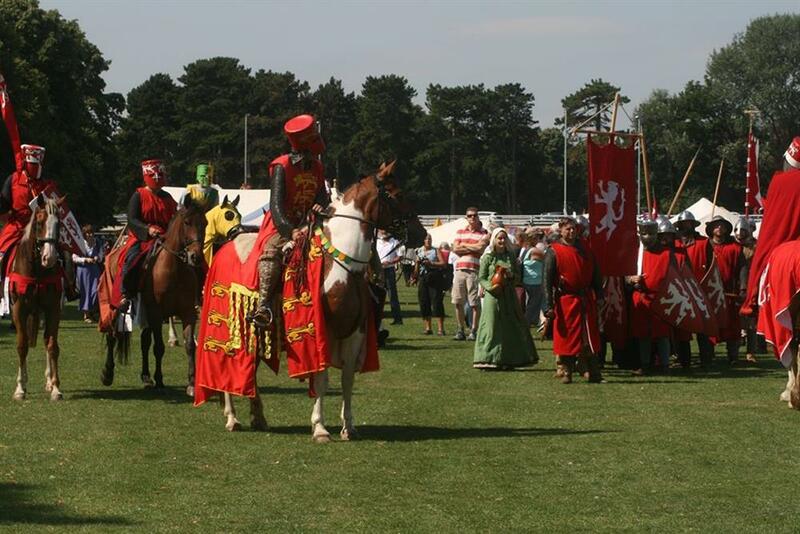 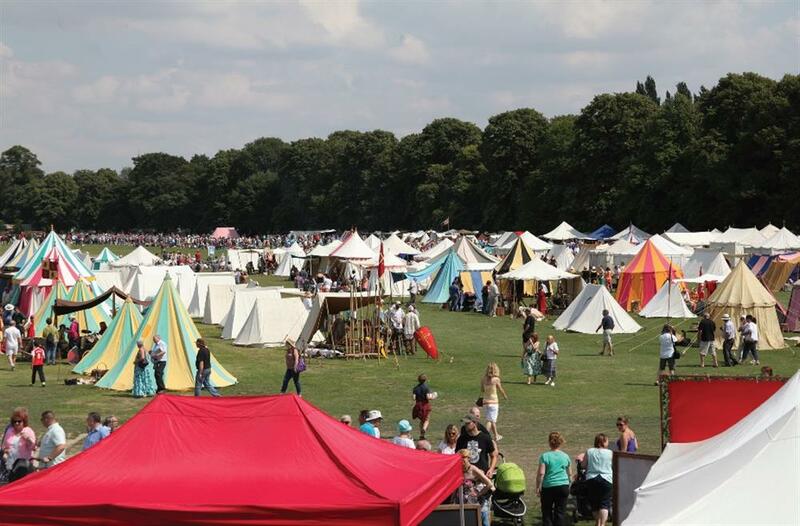 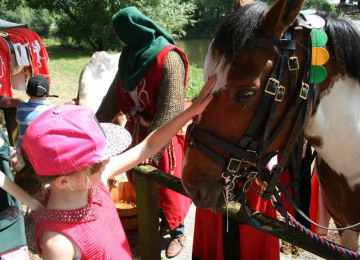 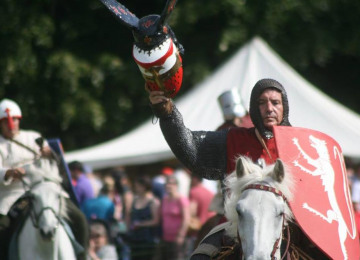 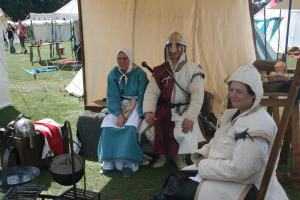 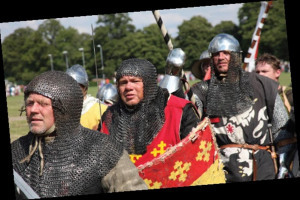 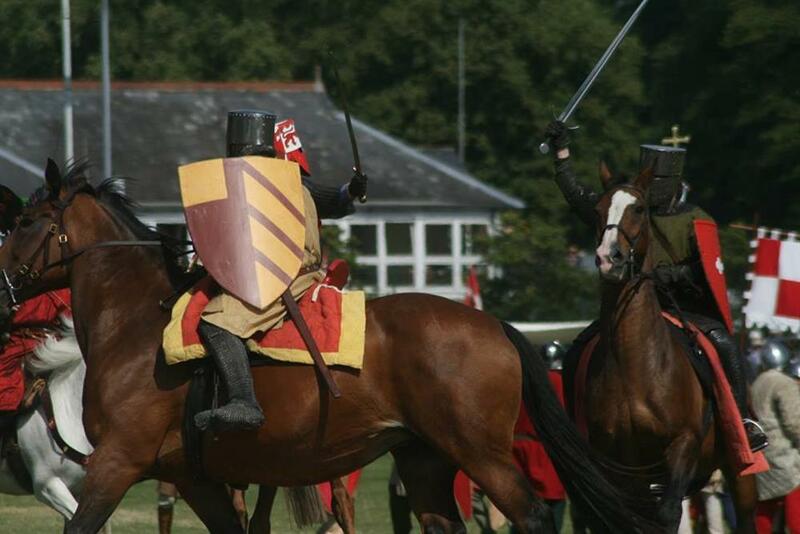 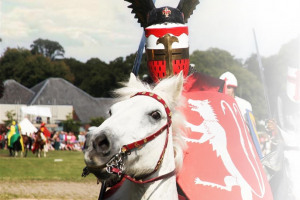 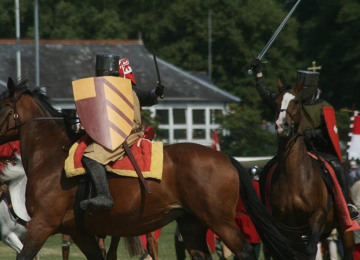 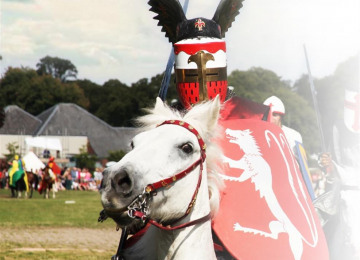 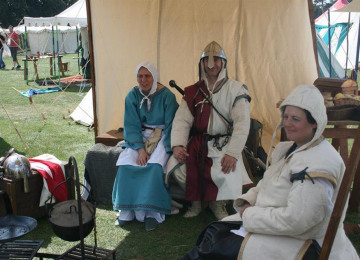 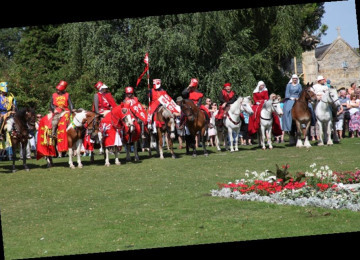 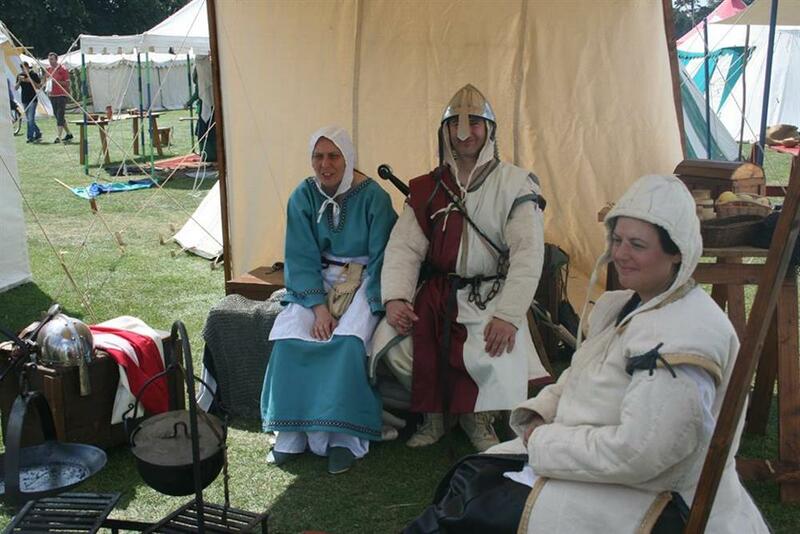 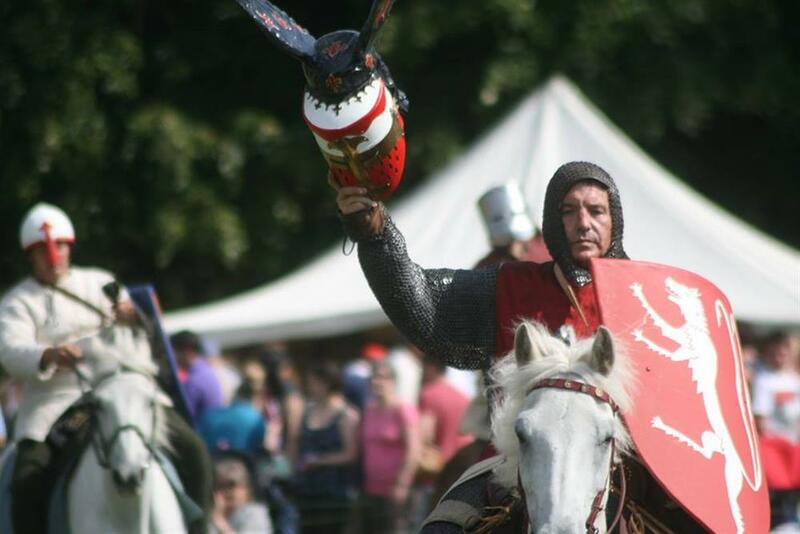 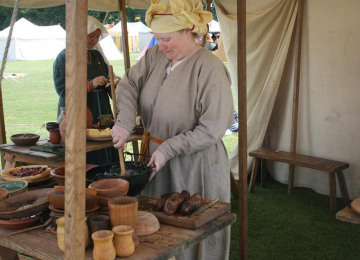 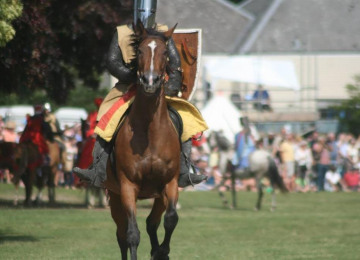 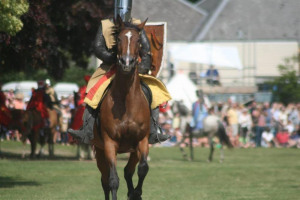 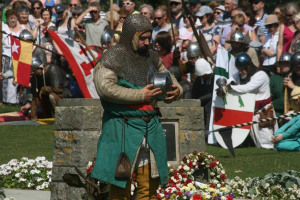 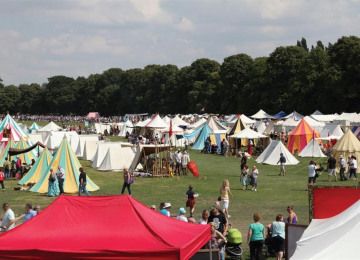 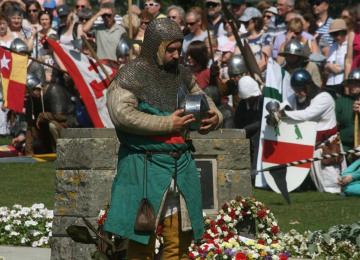 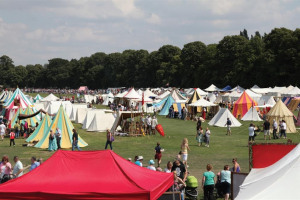 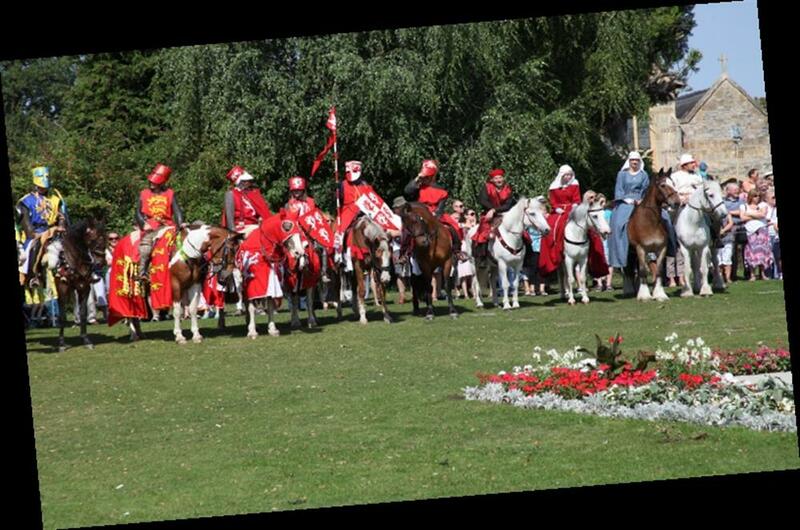 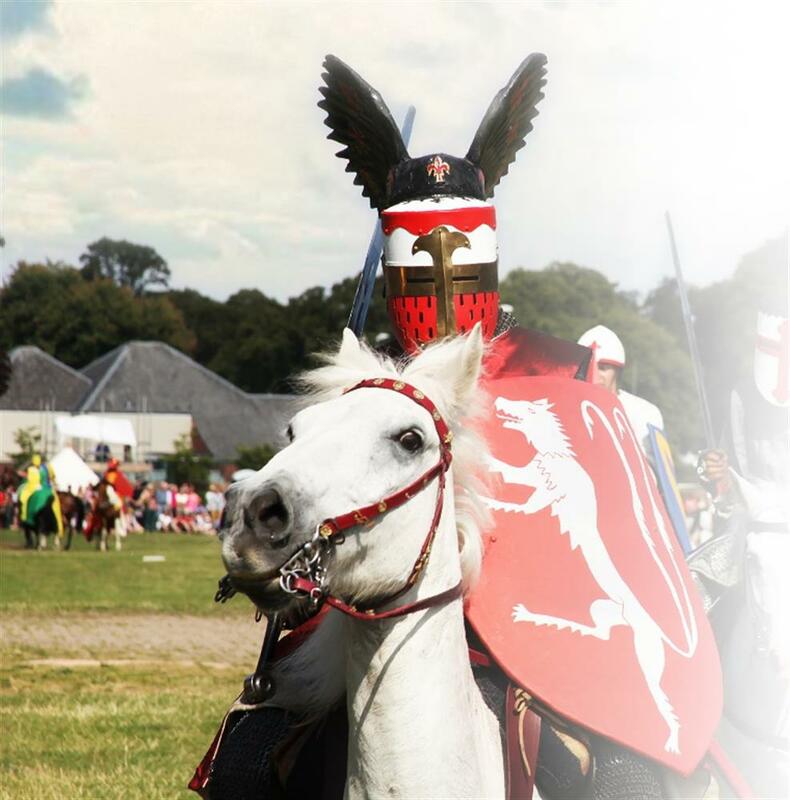 An event that will bring medieval times to life through re-enactments, soldiers on horseback, living history camps, have-a-go activities, displays, roaming entertainers, beer tent, tea tent, catering services, farm and craft market offering local produce, exhibitions, talks and a medieval theatre. 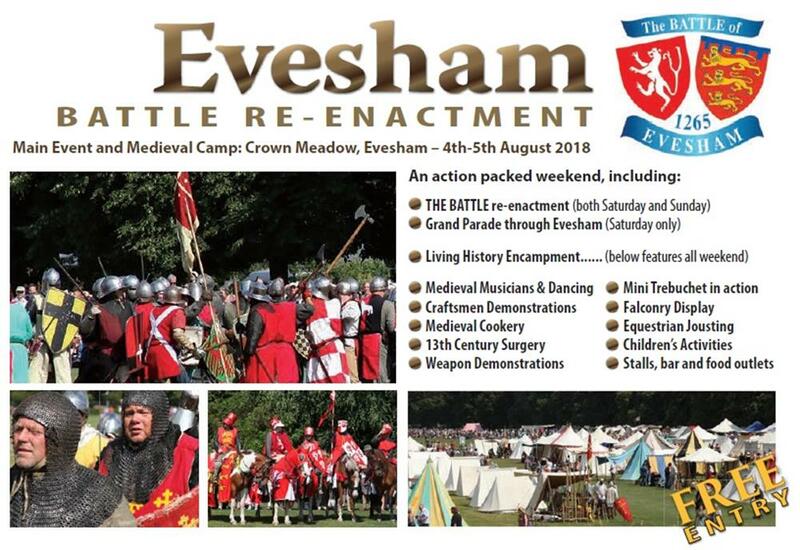 The Battle of Evesham festival will link businesses together in town and the surrounding areas, creating synergy for opportunities. streets and in the surrounding countryside. 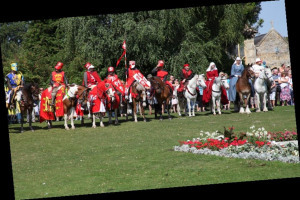 it was able to Flourish. 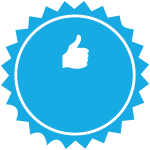 Project Delivery Manager: Kate Varvedo The Project Delivery Manager takes legal responsibility for receiving and spending the funds raised and ensuring the project is delivered.